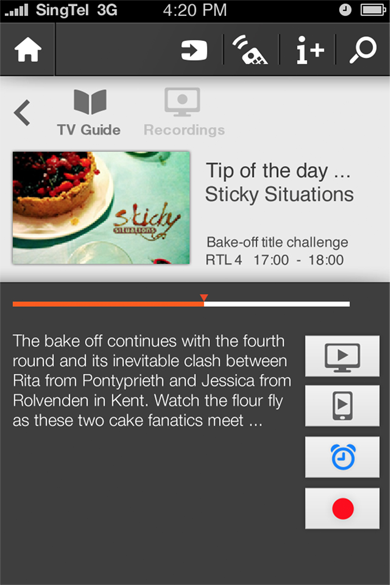 The Philips TV Companion App allows users to control their TV, navigate online video content, and manage local files with their mobile device. 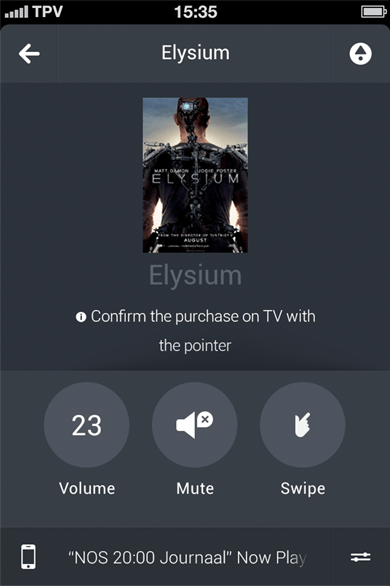 The app acts as an enriched remote control, but also as a second screen. 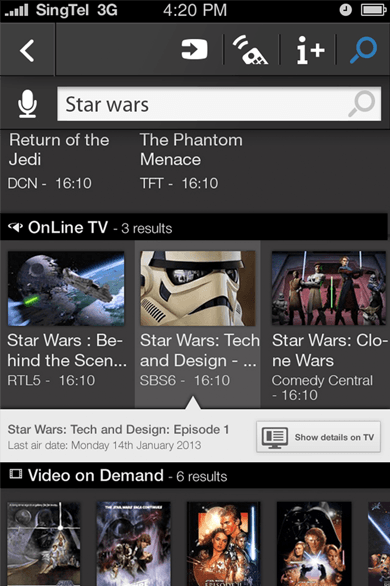 Initially I worked on the MyRemote app (2013), which was a visual rather than a functional update. 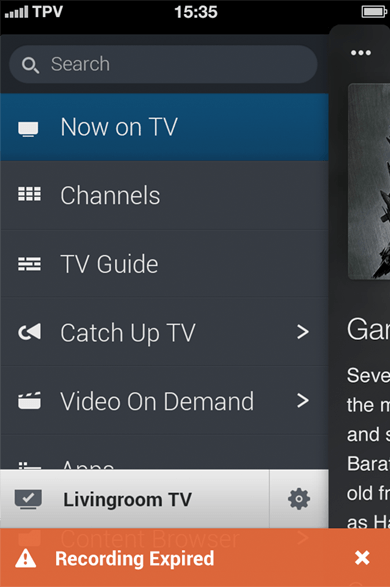 We aligned the visual style of the apps with the style of the TV interface. 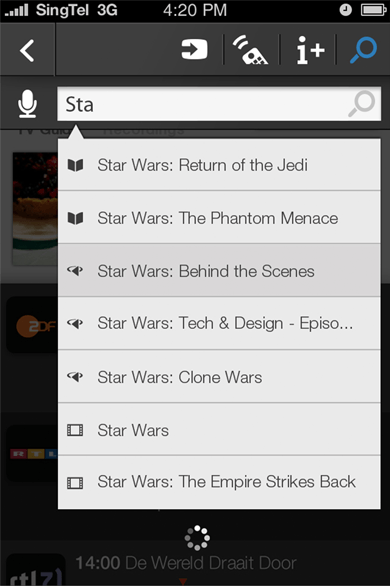 Some new sections where also added, such as Search, and Recordings. 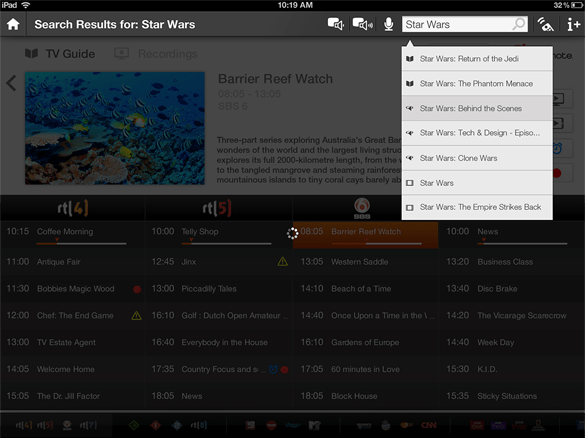 The initial designs of the TV Guide were designed specifically for iOS, while the app has an Android version as well. Additionally, some of the elements used were not optimized for mobile devices, such as HTML radio buttons. 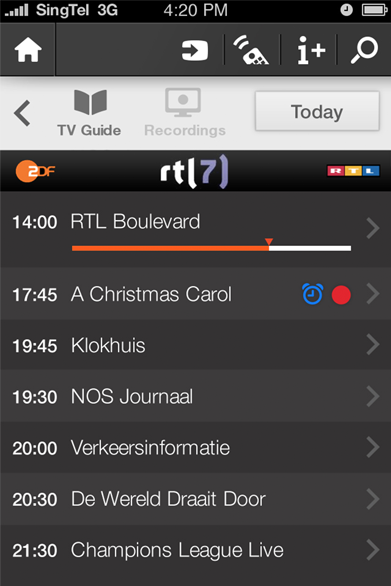 I redesigned the structure of the phone version of the TV guide, and applied the visual style of the TV UI to the mobile app design. 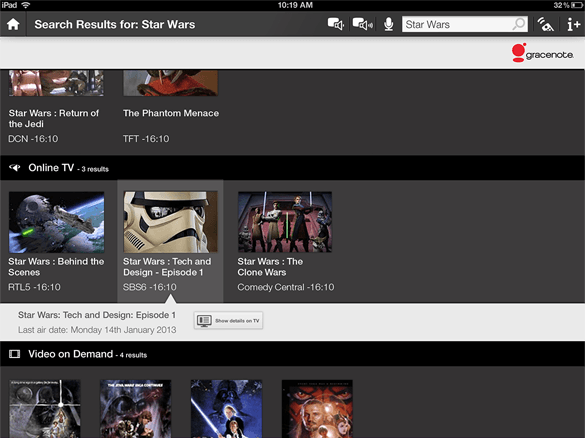 The app allows the user to search for content from 3 domains; TV Guide, Online TV, and Video on Demand. By spreading the results over three rows, the user can explore the results in a fast and unobtrusive way. Tapping a search results opens up a panel under the result, with additional information, and action buttons, allowing the user to set reminders, record, or play the content on their TV or mobile device. 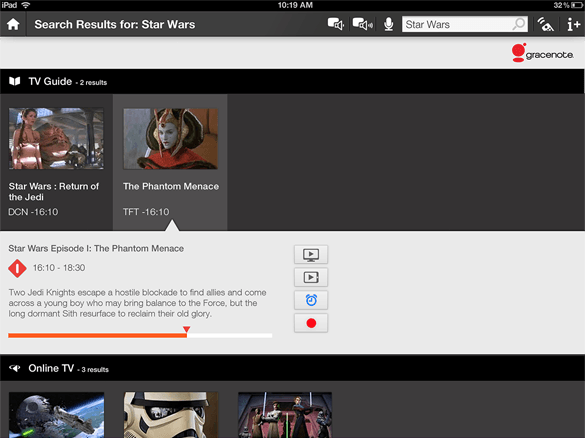 The Remote app (2014) was a complete redesign and rebuild. 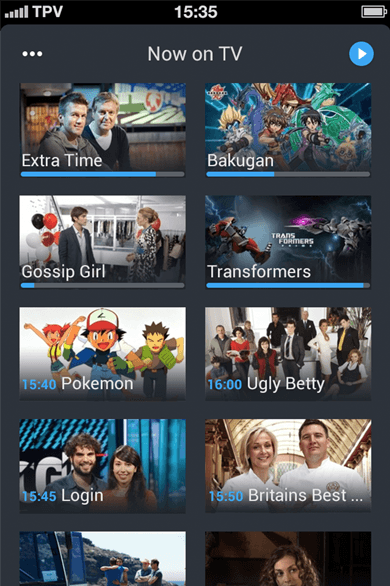 We had the freedom to explore new concepts, a new visual style that was aligned with the 2014 Android TV interface. Next to that, we could rethink existing features, and see how these would fit the user’s needs better.